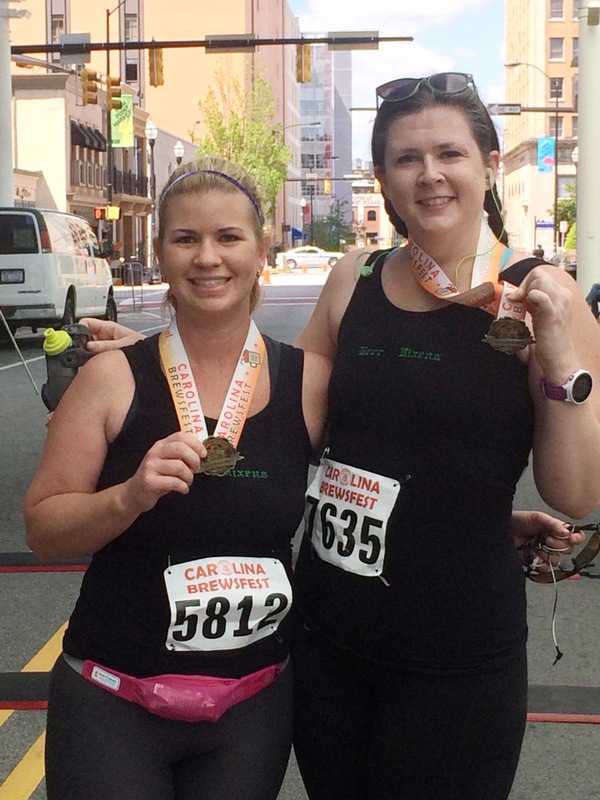 I was up bright and early on the morning of May 2 preparing myself mentally for the task of completing a half marathon followed by Carolina Brewsfest, a six-hour beer fest. Crazy, right!!?? but it was a beautiful spring day, so I made good use of it. Let me first say that my half marathon performance was NOT pretty to say the least. I had no idea that High Point, NC was actually ON a mountain! I have never in my life completed such a hilly course! 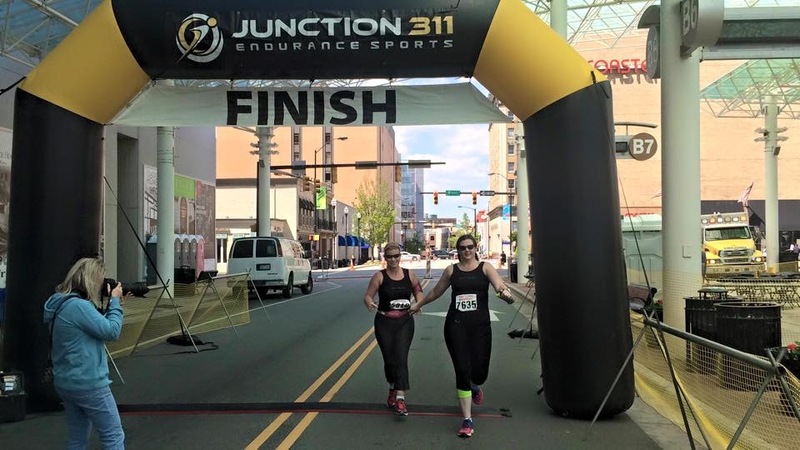 This was my 4th half marathon, so I have learned a few things in my treks thus far, but I was not at all prepared for this one. Months of bronchitis kept me from training AT ALL…literally 6 miles of running done in the six months prior to this half marathon. I was determined to finish this race! After all, I DID have on my Beer Vixen tank! Thank goodness I had my bestie, Jones, with me to pull me through. Yes…in all of our post-race glory, the Beer Vixens (AKA Casino Vixens) crossed the finish line before being picked up by the cart of shame (this is a golf cart/car/any vehicle that rides at the back of the race to pick up those who will not finish before designated cut off time). NEVER….I’d die. 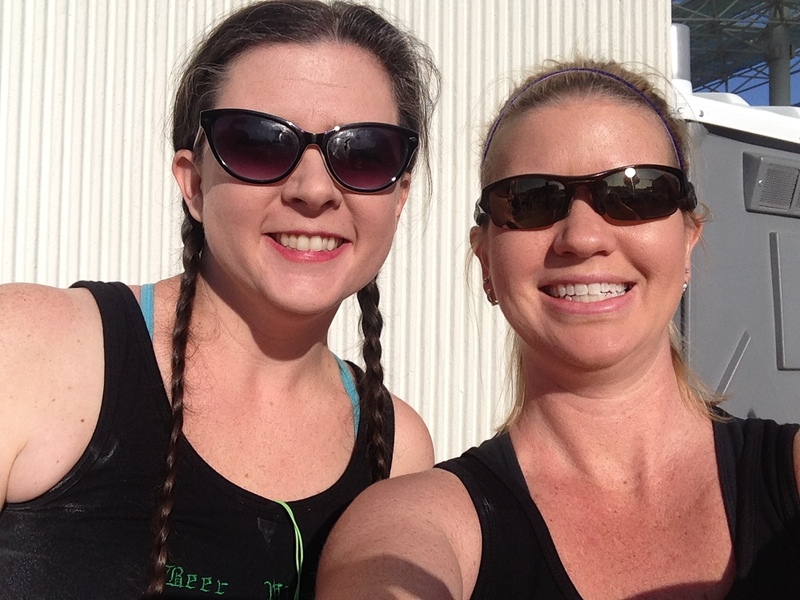 After our exciting race, it was time to move on to better things….BEER!! Home for a quick shower and back to the beer fest we went! 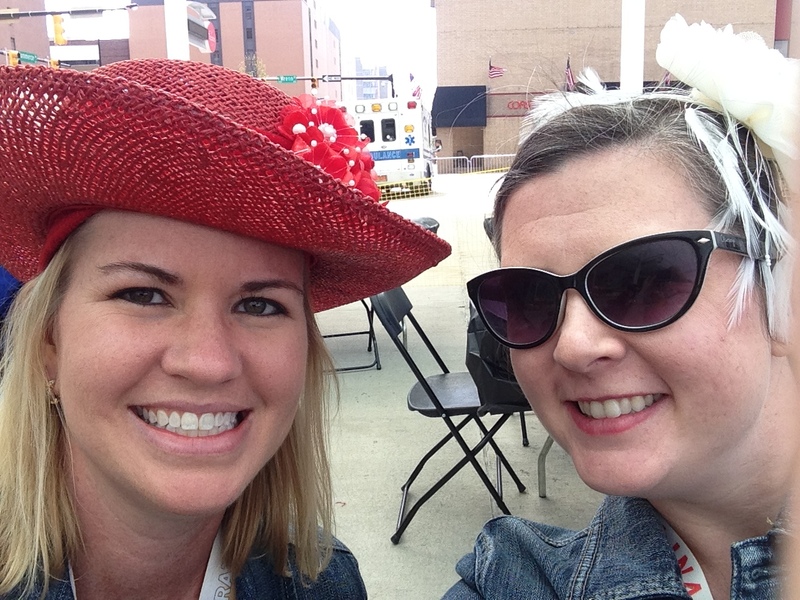 Beer fest day was also Kentucky Derby day, so we had to pay homage with our fun hats. We arrive to the beer fest around 1, fashionably about an hour late. To my dismay, some breweries and/or tables were already packed up or out of beer! Really!!?? I was able to try several new brews that made me very happy. Participating breweries included: Gibb’s Hundred, Bombshell Beer Company, Hi-Wire Brewing, Olde Mecklenburg Brewery, Steel String Craft Brewery, Liberty Brewery, D9 Brewing Company, The Unknown Brewing Company, Fortnight Brewing Company, Frog Level Brewing Company, The Duck-Rabbit Craft Brewery, Pig Pounder Brewery, BruePrint Brewing Company, Flat Top Brewing Company, Carolina Brewing, and Dirtbag Ales. Bombshell Brewing Company Lemongrass Pale Ale -These ladies are awesome!! Bombshell was founded and is run by 3 lovely ladies in Holly Springs, NC. I found myself back in this line many times throughout the day. Fortnight ESB- Head Brewer, Derek Garman, was kind enough (even amongst all the crowds) to talk to me a bit about the brewery and the beers. I am looking forward to my first visit to Fortnight as well! Frog Level Cinco Ranas Picante- Yes, I know I just talked about this beer in my last Asheville post, but I love it! It’s spicy and as you all know, I like it HOT! I was glad to see this beer again because I had already consumed my growler at home and thought I had seen the last of this one until my next trek West. 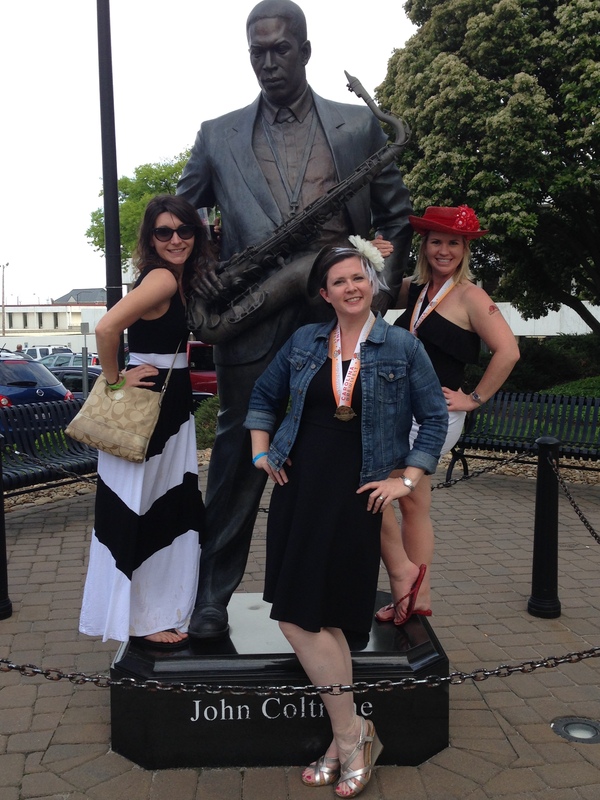 At the conclusion of the festival, we discovered a statue of jazz legend John Coltrane right by the parking area, so we couldn’t resist a picture with him! All in all, a decent festival, great venue, great beer, and lots of fun. The band, Disco Lemonade, was AMAZING and kept us dancing all day long. 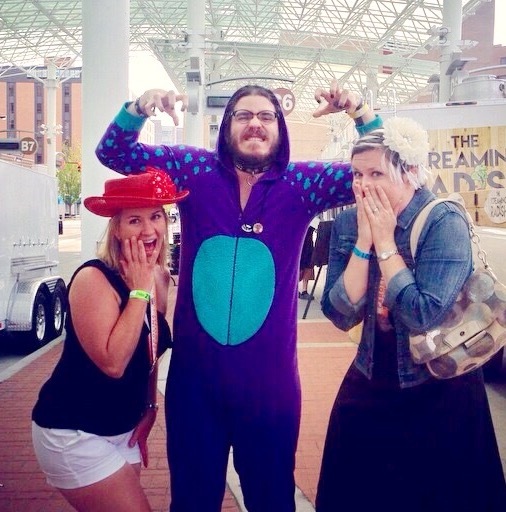 And just when you think you’ve reached your fill of fun for the day….you spot this guy!!! Had to snap a picture with this scary beast. A great ending to a most FABULOUS day!